Big K charcoal briquettes half price @ Wickes. 10kg for £4.99 - summers not dead yet. 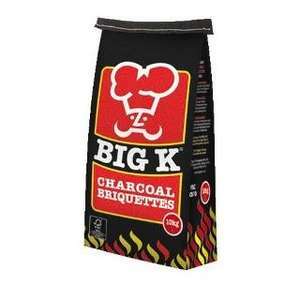 10kg bags of Big K charcoal briquettes at half price £4.99 down from £9.99. Online and in-store. I've stocked up. Hope it helps someone. While stocks last.....you can check online stock in your area to save any wasted trips. Delivery is £5.95 which isn't bad if you're going to buy lots. You have stock up hoping it will help someone ? Cheers will be popping to my local Wickes to stock up! Are these better than other brands of briquettes? I've never much liked cooking with briquettes - I've always preferred cooking on actual charcoal, even if it doesn't burn as long. I usually buy the Sainsbury's Basics Lumpwood Charcoal. Are these better than other brands of briquettes? I've never much liked … Are these better than other brands of briquettes? I've never much liked cooking with briquettes - I've always preferred cooking on actual charcoal, even if it doesn't burn as long. I usually buy the Sainsbury's Basics Lumpwood Charcoal. quick google suggests that alot of people recommend Big K as to other brands readily available in the supermarkets. I'll be stocking up. Thanks OP. Heat added. Sainsbury's Lee (SE3) only stocks the quick light charcoal now and its horrific. £11 a bag and it burns out ridiculously quickly (and is in such small chunks it falls straight through and ash grid). Thanks for that, I did post this deal from my mobile. I've had some bad experiences with some brands of lumpwood charcoal............bags full of dust and very small pieces,so I tend to stick with briquettes. You pretty much know what you're getting. Never used Sainsbury's stuff though so can't compare but people tend to stick to what they know and like. 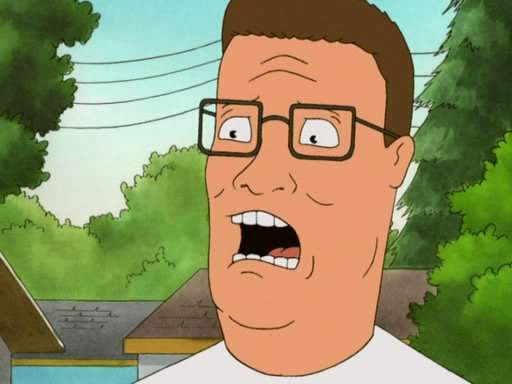 At the end of the day either type will still cremate a sausage........and so will propane, "Bobby"
Another plus for me is that Big K have a plant not too far away......it's always good to support your local businesses. Sainsbury's Lee (SE3) only stocks the quick light charcoal now and its … Sainsbury's Lee (SE3) only stocks the quick light charcoal now and its horrific. £11 a bag and it burns out ridiculously quickly (and is in such small chunks it falls straight through and ash grid). That's annoying... I've never liked the quick light stuff, and I think the last time I bought the Basics stuff was in the Lee Sainsbury's. Fortunately I bought enough to last me a while longer. Difficult to get lumpwood these days so might give this a go. Always annoys me that everywhere stops selling charcoal way to early and if you forget to stock up you CAN be left with weeks of perfect bbq weather but can't get hold of any charcoal for love nor money. Better get stocks in now. Like we had in March. I usually use the restaurant grade lumpwood, heat beads or coco shell briquettes & have just finished a cook with these Big K briquettes. They are smaller than the normal size briquettes but cook very well & last long enough. Also found them easy to light as well, Not in the same league as heat beads but better than your average supermarket or diy store options. At this price you cannot go wrong. Will go back for some more bags tomorrow. Lumpwood charcoal cannot be beaten on quality and flavour. Haven't used anything else for 10 years, maybe they have finally improved the quality of briquettes. Not available online any more, I should have ordered a couple of days ago.